Ask about delivery right to your door on this Murray MSD200 mower. Murray Lawnmower, MSD200 46 inch width with 22hp (656cc) Briggs & Stratton Intek 7220 V Twin engine. 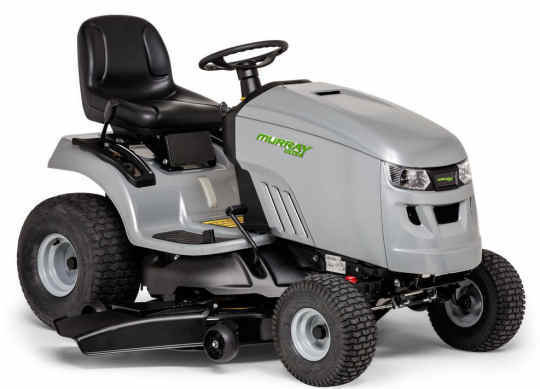 Murray Ride on Lawn mower MSD200 is now in Ireland. 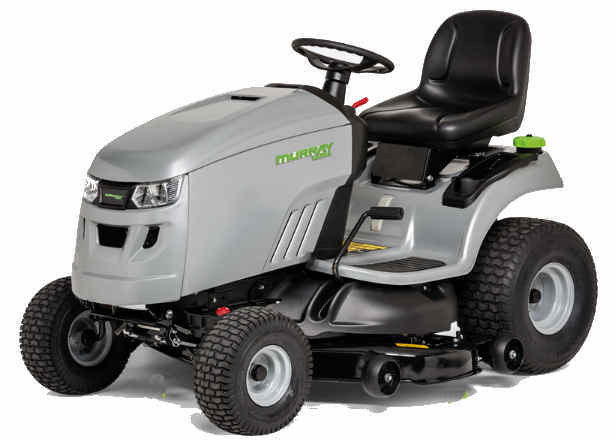 Murray lawn mowers have few plastics, the bonnet and lawn mower panels are made from durable steel. The front axle is cast iron, World-class performance with commercial-grade power, easy starting and quiet operation, the Intek Series riding mower engine delivers great results for your toughest jobs. All Murray mowers are built by Briggs & Stratton and made to last. Murray 46.8 inch 117cm width cut. 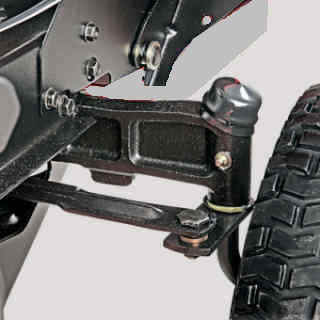 Includes Mucher and tow bar as standard. Large 22 inch rear tyres - Front Tyres 15 inch. New for 2018 - Mulching plug and tow hitch now included free. Murray Lawnmowers are owned by Briggs and Stratton, sold in Ireland by AM Rentals. Murray Ride on lawn mower solid cast iron front axle. The new Murray MRD200 is really a cut above the rest. This mower has a multitude of innovative extras to ensure the best possible mowing experience - comes with mulcher and tow bar as standard. All Murray Ride on lawn mowers have durable steel bonnets with steel hinges. Murray and Snapper, owned by Briggs & Stratton. Cruise control fitted as standard, on these Briggs and Stratton built Murray lawnmowers. Spare parts and warranty are never a problem with Briggs & Stratton lawn mowers. 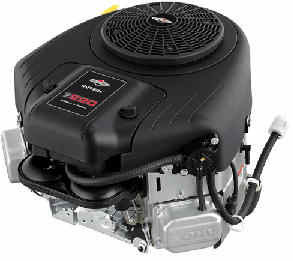 This Murray lawnmower comes with the powerful Briggs & Stratton Intek series engines, 7220 V Twin engine. rated at 656cc . Delivery to any County in Ireland - fuel costs only.